Shotton Group are a family owned business with four divisions operating across Australia. Established in 1977, they began as suppliers of sheet metal and then diversified to create and sell their own products. 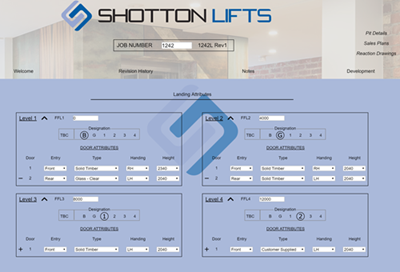 In 2010, the company founded ‘Shotton Lifts’, becoming the only local manufacturer of residential, commercial and disabled access lifts in Melbourne, Australia. 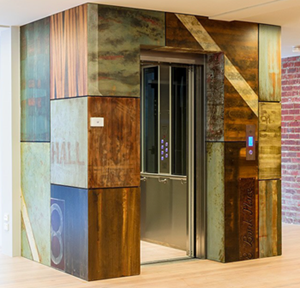 We recently caught up with their Engineering Manager, Martin Clenick, who explained how they’re using DriveWorks to configure their custom lifts. “When configuring a new lift, we used to rely on finding a similar lift that we had already modelled in SOLIDWORKS. We’d then package up the project and our engineers would make any modifications manually. By the end of the process, we would have gigabytes of duplicated SOLIDWORKS files and we never knew if there were any obsolete parts in the models. “A typical lift contains somewhere in the region of 500- 600 parts and they can be specified into an infinite number of configurations. The number of floors, supporting structures and the types of doors are things which commonly change depending on the type of lift required. The DriveWorks configurator that we’ve developed automates the configuration of our custom lifts and it’s used internally by our engineers and our sales team. 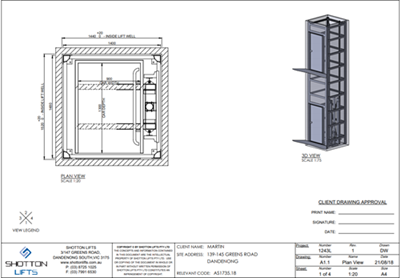 Our engineers use the configurator to specify new lifts and to automate the generation of engineering drawings, whilst our sales team use it to complete forms and to produce professional sales documents, quotes and bills of materials (BOMS). We’re currently using the DriveWorks BOM to Excel plugin to import the generated information from an Excel spreadsheet directly in to our ERP system” says Martin. An engineering drawing generated by DriveWorks. “Prior to using DriveWorks, there were many forms for our sales and engineering teams to complete. Each form had different formatting and revision controls and we had issues with manual data entry. Now that all of our forms are generated through DriveWorks, they are much more professional and cohesive. We’re now able to include more customised fields in the documentation that would have been impractical in the past. With DriveWorks, the risk of human error has also been greatly reduced and we’ve eliminated duplication of data. Previously, an approval drawing could take around half an hour of engineering time and completing other forms would take a couple of hours. “Shortly, our sales people will have the ability to configure lifts on an iPad whilst they’re on site and the customer will have their proposal within minutes. After we’ve achieved this, our next step is to publish the lift configurator on our website and allow customers to configure their lifts in a browser. “We started working with Steve Gallienne of 3D4 Industry around 18 months ago. 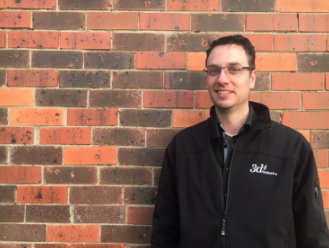 Steve has been extremely valuable in pointing us in the right direction and he’s recently been working in-house to help us develop our DriveWorks project. Without Steve’s help we would still be replacing elements in our original project from scratch, when we had time. – Martin Clenick, Engineering Manager at Shotton Group. Manually searching for similar previously modelled lifts in SOLIDWORKS and making individual modifications left engineers with duplicated SOLIDWORKS files. This caused a lot of confusion difficulty finding any obsolete parts in the models and took up a lot of time. Implemented DriveWorks to automate repetitive tasks, streamline the production of sales documentation and prevent duplicating data.